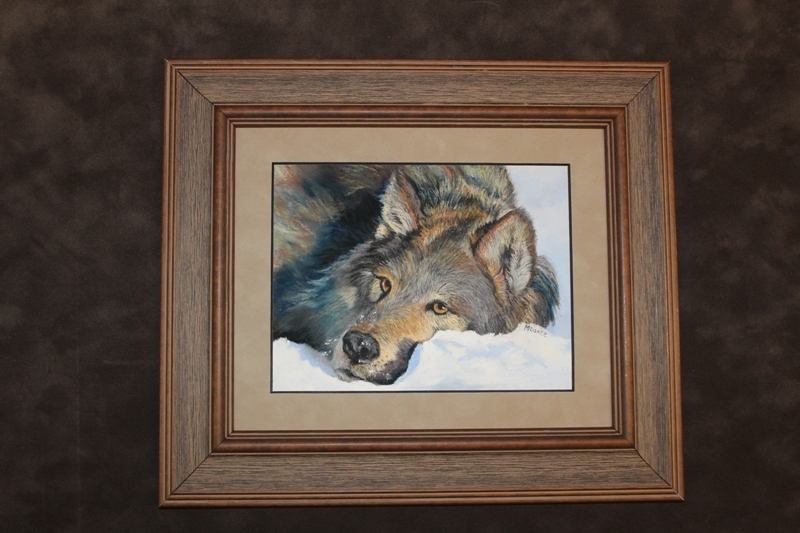 This painting is a second painting of a wolf I photographed in Colorado at Wolf Sanctuary. It was the middle of summer and definitely I took “artist license” in adding the “snow pillow” he is laying his beautiful head on! This one is a small detailed painting only 6×8 image size, available at the RS Hanna Gallery (www.rshannagallery.com) I am privileged to be represented by them in Fredericksburg, my home town. This prestigious gallery is such a blessing to me. Shannon Hanna the proprietor, is the sweetest most supporting person! She makes you feel like you just stepped into her home as her honored guest. The gallery is a beautiful old house restored on Llano Street. I am so privileged to be a part of it. You must come by and see all my work there. 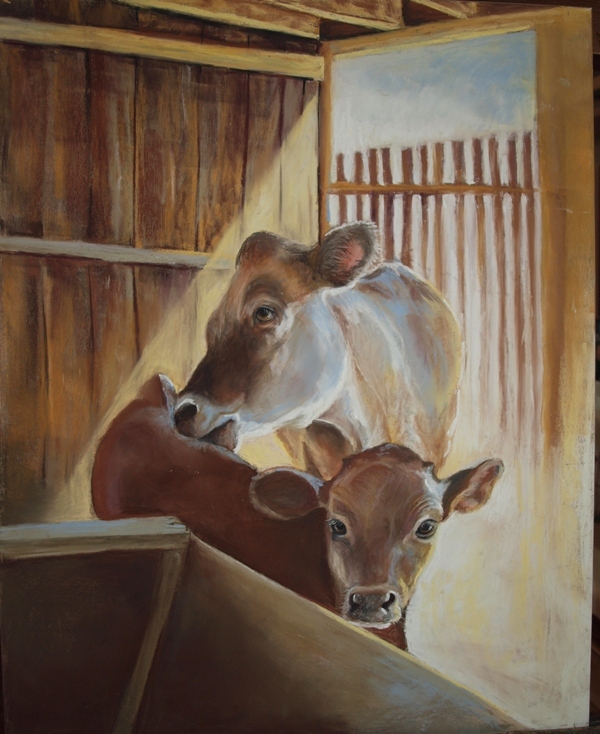 Her father-in-law the renowned artist John Austin Hanna, has his beautiful painting throughout the gallery, as well as many other amazing artist from around the U.S.A.
Just wanted to update you on what I have been doing.